Nobody teaches the ins and outs of horseback riding like the experts at Mone Farms and Training Center. Buy 4 lessons, get 5th lesson Free! If you bring in a friend that buys a package of 4, you also get a free lesson! Mone Farms and Training Center offers horseback riding fun and education with summer day camps. To see our Full Website click here! 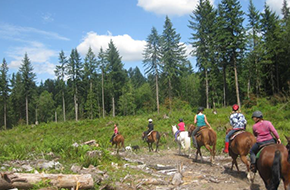 Horseback riding is one of the most enjoyable hobbies you will ever try, and Mone Farms and Training Center wants to open up this equine world to all potential riders in Snohomish, WA. We provide lessons in horseback riding, adventurous trail rides, and summer day camps that are chock full of activities. Our fun-filled and animal-friendly services bring people and our equine friends together. 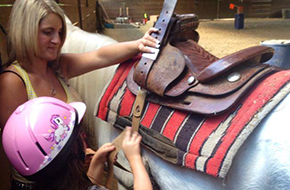 Students wishing to learn all about horseback riding can receive their lessons right here. Our classes target people of all ages and experience levels. Whether you are just beginning or you want to hone your skills, we have the right classes for you. Our instructors love horses and are expert riders. 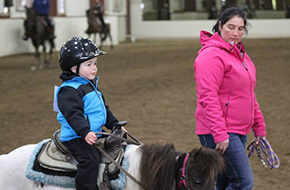 They are undoubtedly the best source for proper riding lessons. Get started today, and you will be joining in trail rides in no time. Speaking of trail rides, we host those as well! You will take great enjoyment in riding your faithful steed alongside other like-minded individuals who are also out for a good time. Trail rides can be scheduled for as little as one hour or even the whole day. Just contact us, and we will book you for an event that fits your itinerary. Saddle up and meet new people as we venture out and experience the beauty and majesty that the great outdoors has to offer. Additionally, we host a summer day camp for people of all ages and skill levels. At camp, lessons will be learned about the proper care of horses as we learn to feed them, groom them, and enhance our riding skills. Activities that include long and short trail rides and mini-horse shows will delight visitors of all ages with exciting games and surprises! All you have to do is reserve your spot. Visit Mone Farms and Training Center in Snohomish, WA. Buy 4 lessons, get 5th lesson Free/ If you bring in a friend that buys a package of 4, you also get a free lesson!